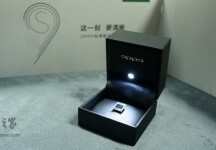 The Oppo R9s is not exactly a secret - aside from the leaks, there's already been a TV commercial running in China. The logical next step has followed and the company has sent out invites for the launch event, scheduled to be held on October 19. That's not all, however. 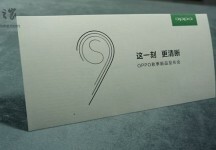 Apparently, the smartphone's camera will be based on a new Sony-made IMX398 sensor. On top of the obvious (and also largely meaningless) fact that it's 98 more than the IMX300 imager Sony uses in its own high-end Xperias, the source states that the sensor is a 16MP dual-pixel affair (similar to the 12MP Samsung Galaxy S7 camera). Lens aperture is also said to match the Samsung flagship at f/1.7. 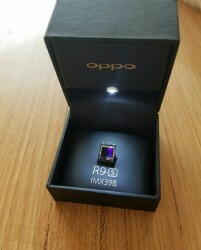 The R9s Plus, featured in the TV ad, isn't explicitly mentioned on the invites (or the fancy sensor box). 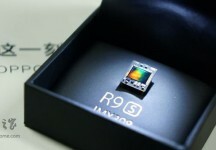 This could mean one of two things - either the R9s and R9s Plus will be announced at different points in time and differ in more than just size (like the current R9 and R9 Plus, which have rather different hardware), or quite the opposite - the two will be identically specced (save for display diagonal) and the common moniker has been deemed sufficient for an invite. Will find out soon enough.